Our over 200 year old home has a square opening in the attic that was obvious. 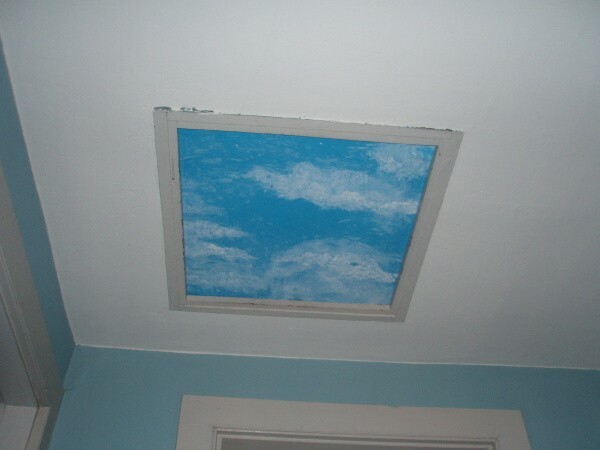 I changed it into a skylight with paint! Then I quickly swirled some white paint (in a circular motion) onto my blue posterboard. 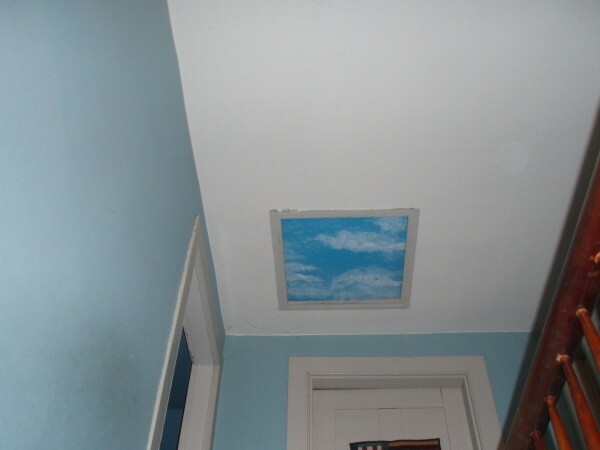 When it dried I just popped it into the framed attic spot. I think it looks whimsical and pretty! What do you think? If I could I would give you 10 thumbs up for this! Beautiful ! I will do the same and if possible I will add small figures of seagulls or sparrows.